We currently have Two DS300S Checkweighers in production for a coffee producer based in the UK. This customer purchased a similar checkweigher last year and was happy with the build quality and performance. Replacing his existing checkweighers; the machines will help the customer improve their line efficiency by increasing the throughput capacity and reducing the production downtime. 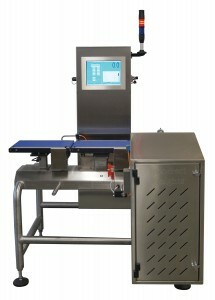 This checkweighers have been designed to weigh packs up to 300 mm long at speeds up to 120 packs per minute. Driven by brushless DC motors, the packs can be tracked across the machine and rejected quickly using the high speed airblast reject. These machined are fitted with supermarket specification making theme fully compliant to all supermarket and BRC specifications. The simple construction, robust stainless steel frame and in house developed electronics make this machine perfect for any food production environment. The customer also ordered two rotary turn tables for this line. Its simple box section construction, open frame design and IP65 Motor and inverter arrangement make it ideal for most food production environments. Fixed side guide with an aperture to suit the checkweigher outfeed conveyor packs are easily transferred and collated. Available in different variations including bespoke build we have something to suit every production line. We have a team of highly skilled engineers who can help support your machines to ensure there working there best. Service contracts can be offered to cover a number of options and can be tailored to specific requirements i.e. Weekend Visit, Early Start (Before Production) etc. More information on the services that we offer can be found here. 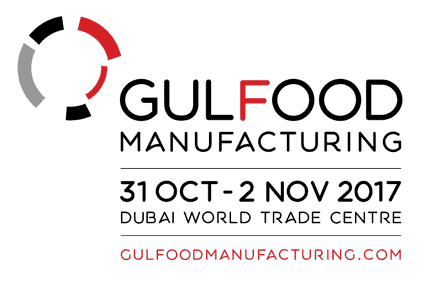 Driver Southall will be at the Gulfood Manufacturing exhibition from the 31st October to 2nd November 2017 at the Dubai World Trade Centre. We are situated on the Kaydee Solutions stand B3-36 and will be exhibiting one of our DS300S Checkweighers. If you have any requirements and are attending the exhibition then feel free to come and speak to our business development manager. In addition to the checkweigher and metal detection solutions that we offer we are also able to offer simple low cost PU belt conveyors. Stainless steel construction and hygienic design it is perfectly designed for the food industry. 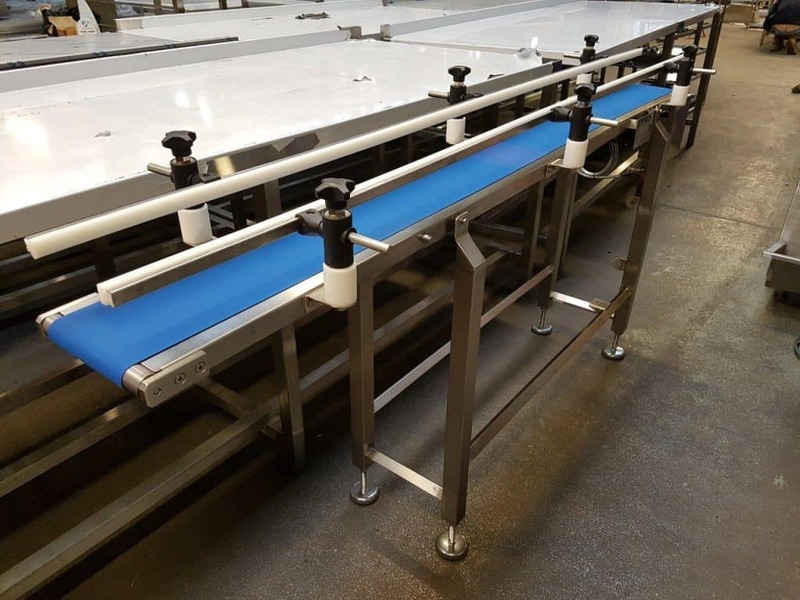 Simple Elasticated PU belts and small diameter rollers make this an ideal conveyor for transferring to checkweighers, metal detectors and rotary turntables and can be added to most of our checkweighers, metal detectors or combination systems without the need of a external control panel. These can be made to suit any length, width or height for different applications and can be supplied with or without controllers in addition to guide rails, printer brackets or anything else that you may require. 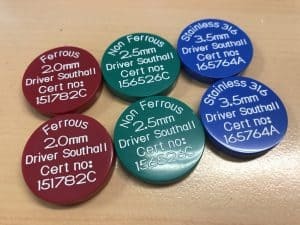 Driver Southall are now SafeContractor approved for the installation of checkweighers and metal detection equipment and are approved for the install and maintenance of electrical and mechanical plant equipment. 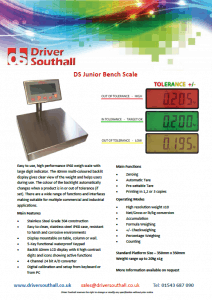 We will be launching our new DS Jr Bench scale soon. Constructed from stainless steel and rated to IP68 it is specifically designed for the food industry. The 40mm Digit display is also easy clean, easy to read and also comes with a tolerance mode for operators to know when a product is coming towards tolerance, at tolerance or above tolerance. There are many additional functions also available at additional cost including checkweighing ,trade approval and the ability to link the scales to a central database for weight collection. For more information click on our brochure. 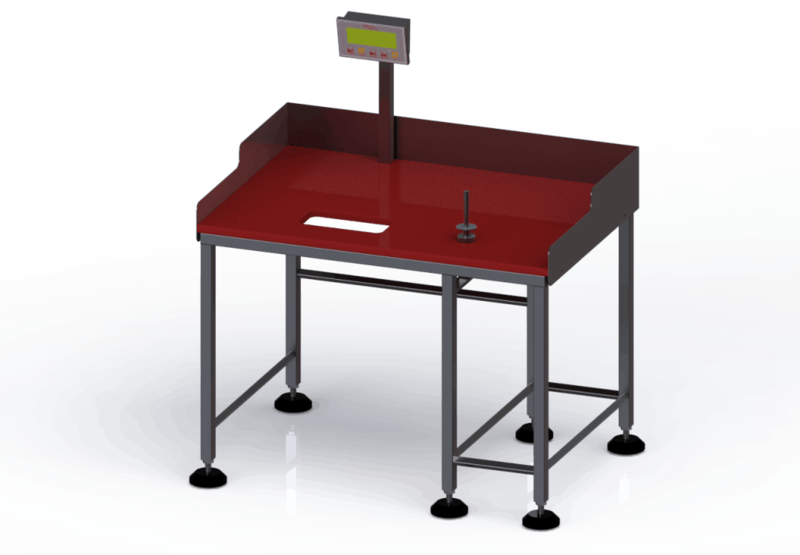 In addition to the checkweigher, metal detection systems and combination systems that we offer we can also offer a series of low profile weighing platforms. This platforms are manufactured at our factory in Staffordshire and can be manufactured from stainless steel, painted steel or an combination of the two. 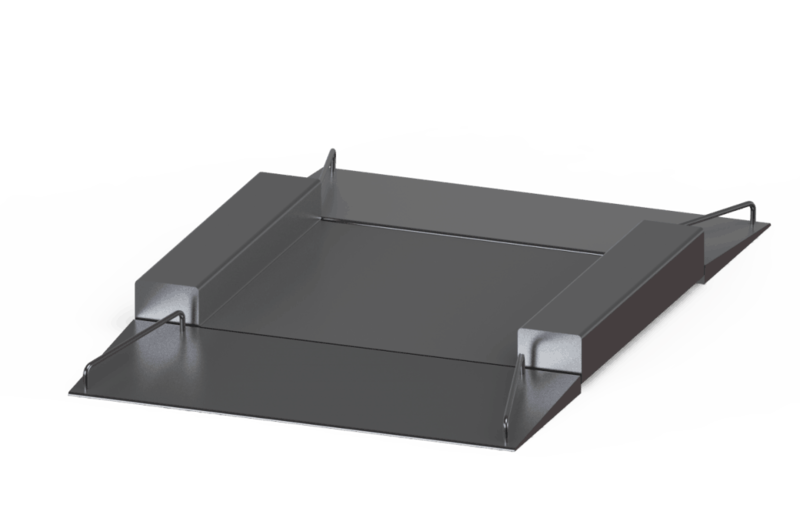 These platforms can be tailored to each application and are available in several different versions including bolt down, single ramp with stop, twin ramp, mobile and lift up. IP rating can be up to IP68 and supplied with 6 digit indicator readout. Another two checkweighers have been issued for production today for a repeat customer of Driver Southall. Our checkweighers are designed to suit each individual application with the aim to maximise throughput, accuracy in the space available. The machine above has an overall footprint of 1204mm x 1000mm and can handle a 200mm pack at speeds exceeding 120 packs per minute. This can be fitted with a variety of reject mechanisms which are carefully selected and installed for each product. 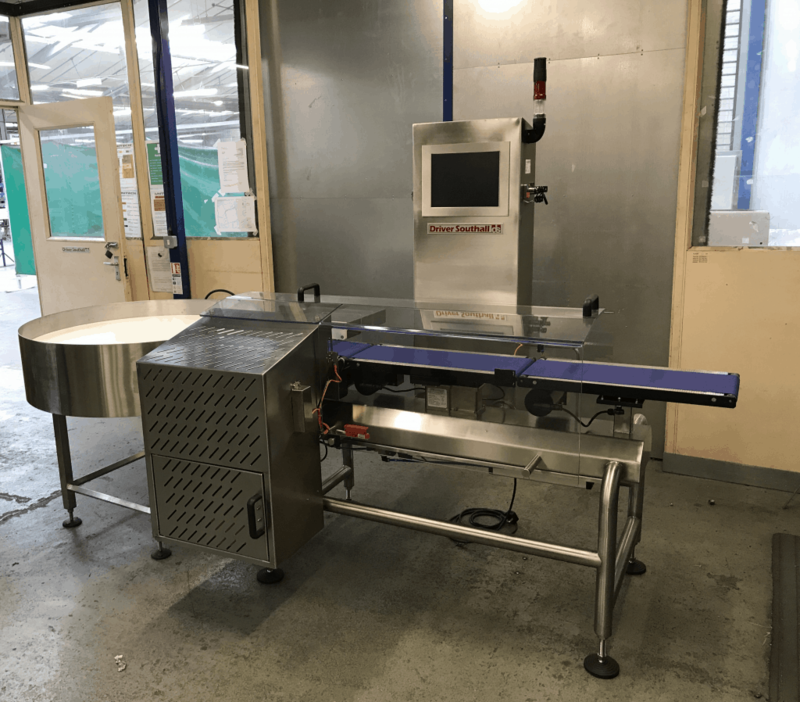 In addition to the checkweighers, metal detectors and combination systems that we offer we are also able to offer bespoke design and manufacture of weighing systems. This design is for the assembly and trimming of gyros and kebabs up to 50 kilograms . The unit is designed with hygiene in mind; the work tables are removable for easy clean down and the crevice free frame design means that whole machine can be easily cleaned. The machine is designed to IP68 and can withstand the hardship of working in a food environment. These systems are also available as 2, 4 and 8 station design and can be tailored to the end users requirements.